Nintendo just announced the first DLC Pack for Breath of the Wild's Expansion Pass, coming some time this summer. 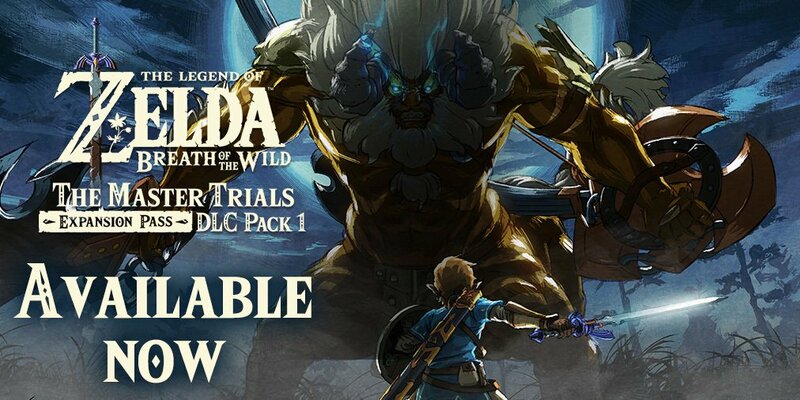 The pack includes various new content, such as "The Trial of the Sword" (similar... A few days ago I was listening to GameXplain's discussion on the details for the Breath of The Wild Expansion Pass, and I found myself wondering if some of the items that are coming to BoTW through paid content should really be things that the player should pay for or not. I bought my Zelda: Breath of the Wild Expansion Pass on November 24th at the Winter Garden Store. I do not know where I put my receipt and I can not find the email with the code. I do not know where I put my receipt and I can not find the email with the code. To get the new content in "Breath of the Wild," you must first purchase the expansion pass for the game; it costs $20, and gets you the previously-released expansion as well as the new one. The Expansion Pass grants access to two new sets of downloadable content for the game when they become available later this year. Immediately upon pre-purchase or purchase of the Expansion Pass, three new Treasure Chests will appear in the game’s Great Plateau area.